2 Fat Nerds - January Challenge Progress Update! 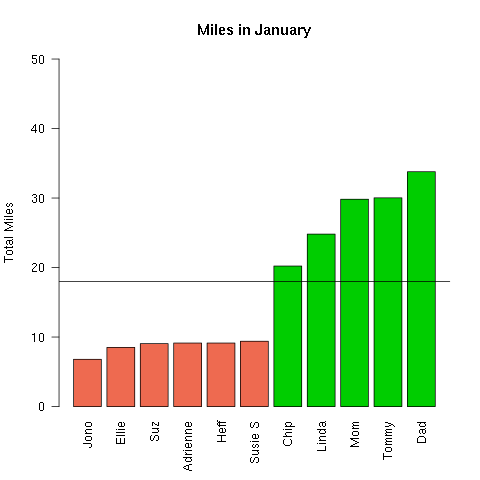 Home/Workout Tracking/January Challenge Progress Update! If your information doesn’t look right, make sure all of your data is submitted! Some eople are already accomplishing the goal of 31 miles for the month, keep it up and see if you can double the goal. For the rest of us, we better step it up.